It's not too late! 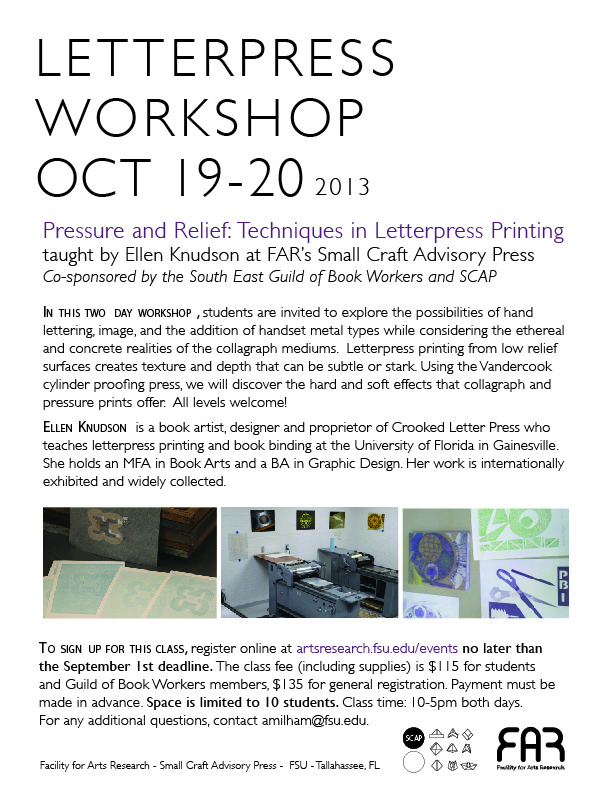 Please join us in Tallahassee for Ellen Knudson's "Pressure and Relief" workshop. The new deadline to register is September 20th. Description: Letterpress printing from low relief surfaces creates texture and depth that can be subtle or stark. The collagraph relief technique involves adhering low relief materials (such as card stock, tape, chip board, or fabric) to a type-high block, inking the block, and pulling a print from it. The pressure print technique involves placing similar materials directly beneath the printing paper and pulling a print from the inked type-high block or plate. These two methods can be applied singly or in combination. Using the Vandercook cylinder proofing press, we will discover the hard and soft effects that collagraph and pressure prints offer. Students are invited to explore the possibilities of hand lettering, image, and the addition of handset metal types while considering the ethereal and concrete realities of the collagraph mediums. 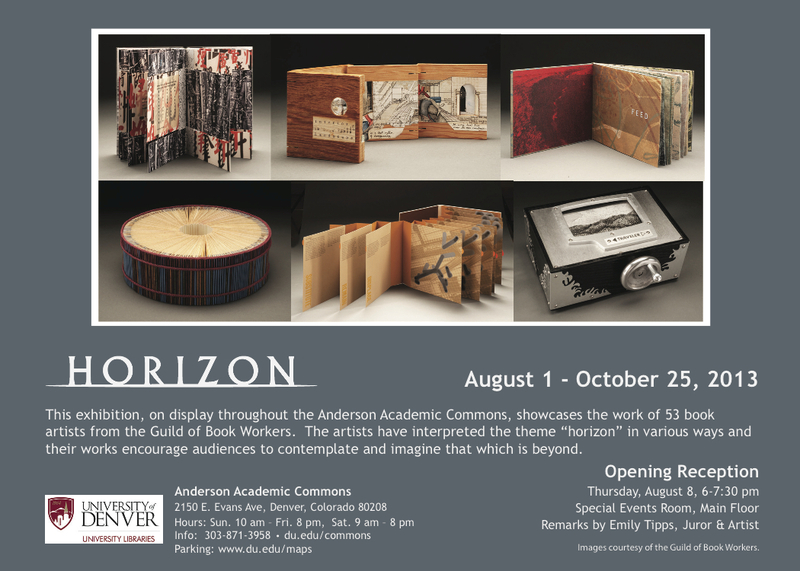 To sign up for this class, register online at artsresearch.fsu.edu/events by September 20th. The class fee (including supplies) is $115 for students and Guild of Book Workers members, $135 for general registration. Payment must be made in advance. Space is limited to 10 students. Class time: 10-5 pm both days. For any additional questions, contact amilham@fsu.edu. 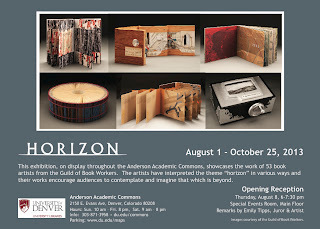 To sign up for this class, register online at artsresearch.fsu.edu/events no later than the September 20th deadline. 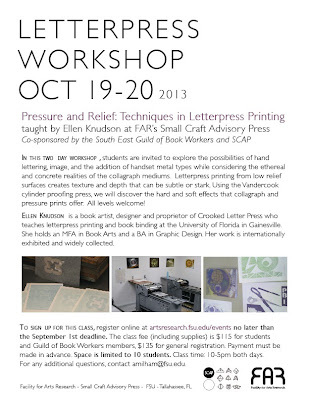 The class fee (including supplies) is $115 for students and Guild of Book Workers members, $135 for general registration. Payment must be made in advance. Space is limited to 10 students. Class time: 10-5pm both days. For any additional questions, contact amilham@fsu.edu.